The new generation VMAX system is not only an enterprise storage system, but an Enterprise Data Service Platform. With the existing Centralized/Self Service IT customers were finding it difficult to balance the 5 key things – Cost, Agility, Scale, Trust and IT control. With the VMAX3 systems, we can meet all these five fundamentals of running an IT environment. With the Dynamic Virtual Matrix, the new systems have multi processor scale-out architecture enhanced with dynamic resource allocation. A VMAX 400K system can have up to 384 CPU cores..! With the dynamic allocation of resources, we can allocate CPU resources any time. This can be done among the Front-End and Back-End or between applications. If we see a Back-End Port being highly utilized, we may allocate more CPU cores to it. Here there is no dedicated CPU-Port binding as in earlier models. 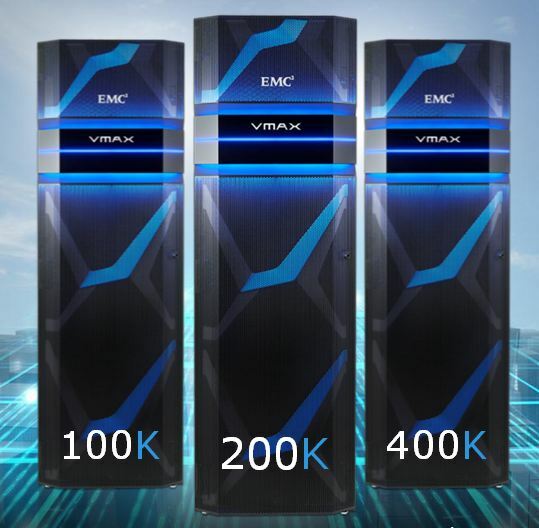 There are huge improvements in FAST storage tiering with VMAX3 systems. It allows management of data tiering and gives us improved options for performance tuning for various type of applications. Another interesting comparison is the VM support with the new generation and the earlier one. This entry was posted in Announcements, EMC, Symmetrix, VMAX and tagged EMC, Enterprise Data Service Platform, New Release, Symmetrix, VMAX3. Bookmark the permalink. small query.Does dynamic allocation of resources,I mean CPU allocation require admin(human) involvement or system takes care of it based on utilization. FYI:with my little knowledge on HDS ,I think Hitachi VSP already have this feature.